The Captain Jonas Noreika Archive makes available online the documents that captured his crimes, his outlook and his world. Learn more about the index, permissions, the curators and ways to participate. Noreika a Hero? Grant Gochin’s relentless query to Lithuania’s Genocide Centre, in English translation and the Lithuanian original, serves as a guide to picking apart Noreika’s crimes. It is the main exhibit of the Captain Jonas Noreika Museum. LCVA f.R-1099, a.1, b.2, l.464-471 1941.08.23 A proposal for a forced labor camp. Pasiūlymas steigti priverčiamojo darbo įstaigą. LCVA-R1099-a1-b32 (182 psl, 48 MB) Karo belaisviai. ~ Prisoners of war. 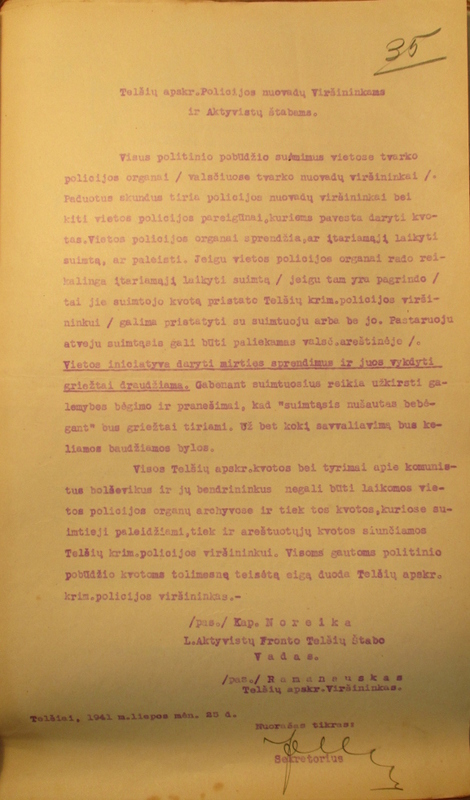 LCVA f.677 a.1 b.483 l.152-154 LLV Teisingumo ministras Mečislovas Mackevičius apie Žydų padėties nuostatas ~ a letter by the Provisional Government’s Minister of Justice, Mečislovas Mackevičius, about the Statute for the Jewish Situation. LYA f.K-40, a.2, b.52 (90 psl, 25 MB) Sovietų 1968 m. Vakarų Vokietijai surinkti parodymai apie žydų žudynes Telšių apskrityje ~Testimony collected in 1968 by the Soviets for West Germany about the mass murder of Jews in Telšiai district in 1941. LYA f.K-40, a.2, b.59 Hungerbergas Julius. LYA f.K-40, a.2, b.164 Pabrėža Arnoldas. LYA f.K-40, a.2, b.169 Juodikis Bronius. 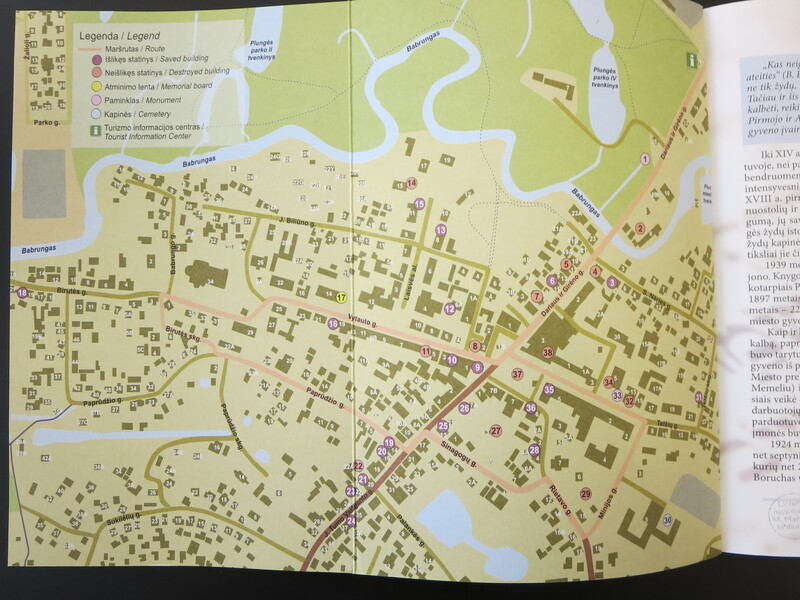 Tomas III ~ Volume III PDF psl.789-794 11-to bataliono iš Kauno vykdytos žudynės Slucke ~ Mass murder in Sluck by Kaunas 11th Battalion from Kaunas. 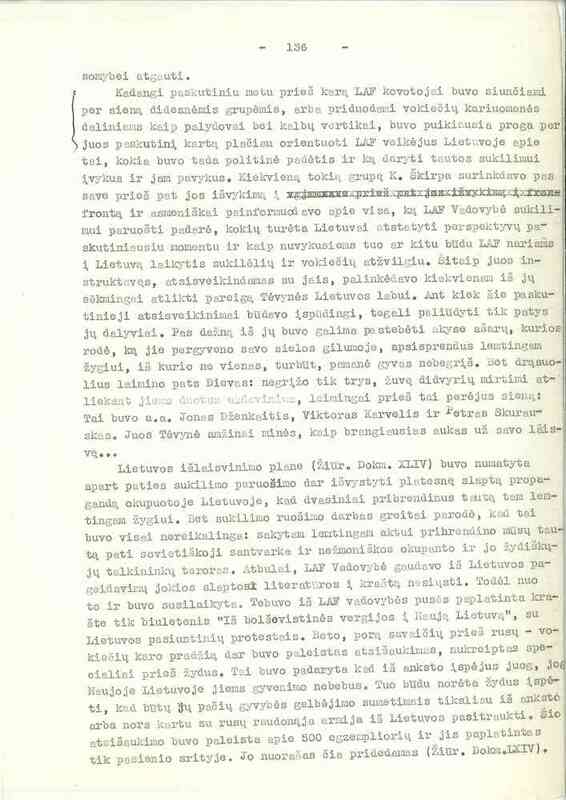 Tomas V ~ Volume V PDF psl.659-662 Voldemarininkų pasiūlymas 1939 m. rengti pogromus ~ Proposal by Voldemarists in 1939 to organize pogroms. Tėviškė, 1943. Nūdienėj Vokietijoj. Simas Miglinas. Žemaičių saulutė. 2018 m. Nr.11 lapkričio 30 d.
Žemaičių saulutė. 2018 m. Nr. 12 gruodžio 28 d.
Žemaičių saulutė. 2019 m. Nr.1 vasario 8 d.
Zenonas Blynas. Karo metų dienoraštis. Excerpts from his diary. 1941.07.31 – 1941.08.02. Lithuanian Nationalist Party General Secretary. Jakovas Bunka. Atsiminimi. Jidiš kalba. USHMM. Jakovas Bunka. Memoirs. Translated into English. USHMM. Aleksandras Pakalniškis. Gyvenimo pakelės. Karo metai Plungėje. 1979. Aleksandras Pakalniškis. Septintoji knyga. Siaubingoji vasara. 1982. Aleksandras Pakalniškis. Per Dvidesimtąjį Amžių. Gaisrui prasidėjus. 1995. Kunigo Prelato Povilo Pukio gyvenimo prisiminimai. 2010. A.Gurevičiaus sąrašai. Parengė A.Martinionis. Kanados Lietuvių žurnalistų sąjunga. 1999. Vilnius. Bubnys, Arūnas “The Holocaust in Lithuania: An Outline of the Major Stages and their Results”, The Vanished World Of Lithuanian Jews, edited by Alvydas Nikžentaitis, Stefan Schreiner, Dalius Staliūnas. 2004. Bunka, Jakovas. The Jewish Page of Plungian History. Vilnius, 2015. Greenberg, Gershon. “Holocaust and Musar for the Telšiai Yeshivah: Avraham Yitzhak and Eliyahu Meir Bloch”, The Vanished World Of Lithuanian Jews, edited by Alvydas Nikžentaitis, Stefan Schreiner, Dalius Staliūnas. 2004. Matas Krygeris. Rūstūs Prisiminimai. Lietuvos technikos muziejus, 1994. Ištrauka apie LAF Telšiai. Lietuvos laikinoji vyriausybė. Posėdžių protokolai. Mardosų kuopa. Riauka, Kijauskas. 1998. Plungės žydų takais. Plungės turizmo informacijos centras. 2018. Žemėlapis. Šiaulių geto kalinių sąrašas 1942. Sudarytojos: Irina Guzenberg, Jevgenija Sedova. 2002. psl.1-119. 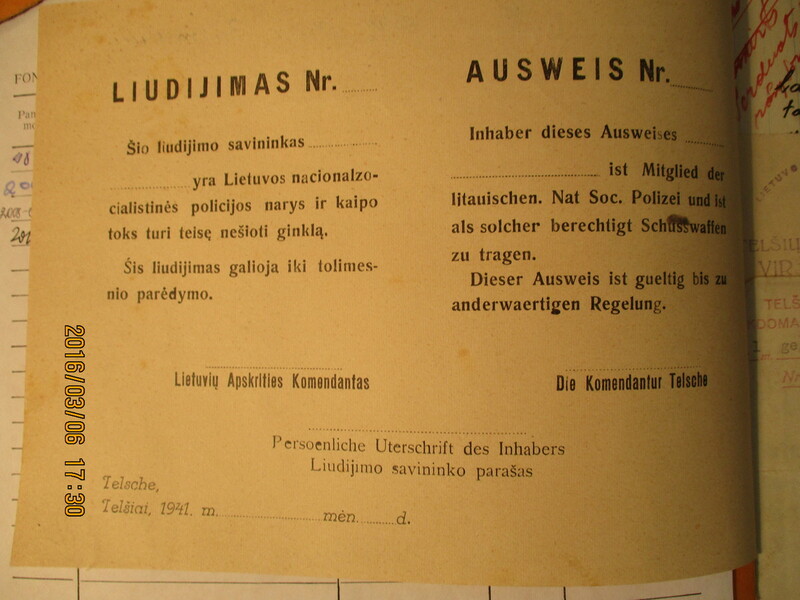 The Šiauliai Ghetto: Lists Of Prisoners. 1942. Compiled by: Irina Guzenberg, Jevegenija Sudova. 2002. psl.174-267. The United States Holocaust Memorial Museum Encyclopedia of Camps and Ghettos… Edited by Martin Dean, Geoffrey P. Megaugee. 2012. Lithuania Region. The United States Holocaust Memorial Museum Encyclopedia of Camps and Ghettos… Edited by Martin Dean, Geoffrey P. Megaugee. 2012. Estonia and Latvia Regions. Jonas Noreika. Trys velniai. (LNMMB RKRS f.76, b.32) Kario žurnalo redakcijos išsaugotas mašinraštis. http://www.silviafoti.com currently hosts some 50 sources, totaling more than 6,000 pages, about 2 gigabytes. English is used in presenting this archive so that it may serve the widest possible audience. Lithuanian is used in italics. 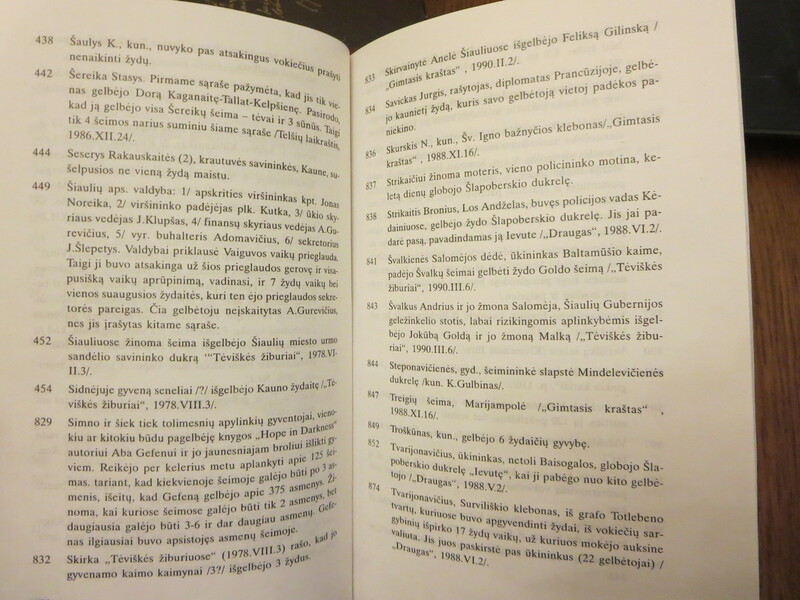 Most of the sources are in Lithuanian and from archives in Lithuania. Therefore they are identified in Lithuanian. Soviet interrogations are usually in Russian. Other materials are in German or Yiddish. Some are available in English translation. “l.” (lapas) and the number of the page, which is typically written in pencil on the upper right hand corner of the page. Pages are double-sided. The back side of a page is indicated by the letter “V”. For example, LCVA f.1075, a.2, b.6, l.35 refers to an order signed by Jonas Noreika in Telšiai. Please make this information available when you share documents. You will notice that we have typically incorporated this identifying information in the name of the image. Andrius Kulikauskas is the curator of the Captain Jonas Noreika Archive. 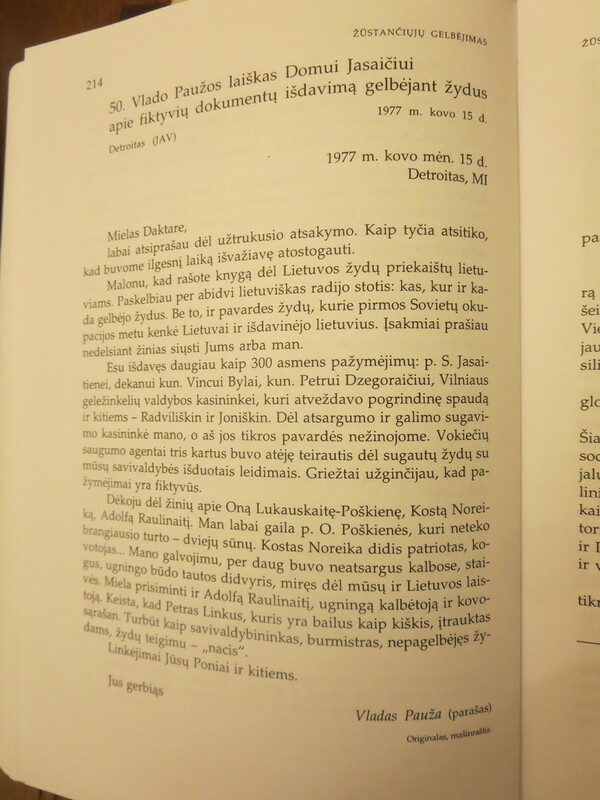 The Jonas Noreika Archive offers an opportunity for a full-fledged exploration of Lithuanian crimes against humanity, especially against Lithuania’s Jews, but also against Lithuanians, Poles, Russians, Roma and others. In understanding whether, what, how and why we did wrong in the past, we take responsibility for our future. We bring together for dialogue all who care about Lithuania. We hope you will find the documents that help you learn from the past. What have we learned? We need to empathize with victims, but if we want to understand what happened, we also need to empathize with perpetrators. Jonas Noreika was heroic, but not a hero. He was a complex person who simply did wrong. We are encouraged that Litvaks and Lithuanians wish for a shared history based on truth. 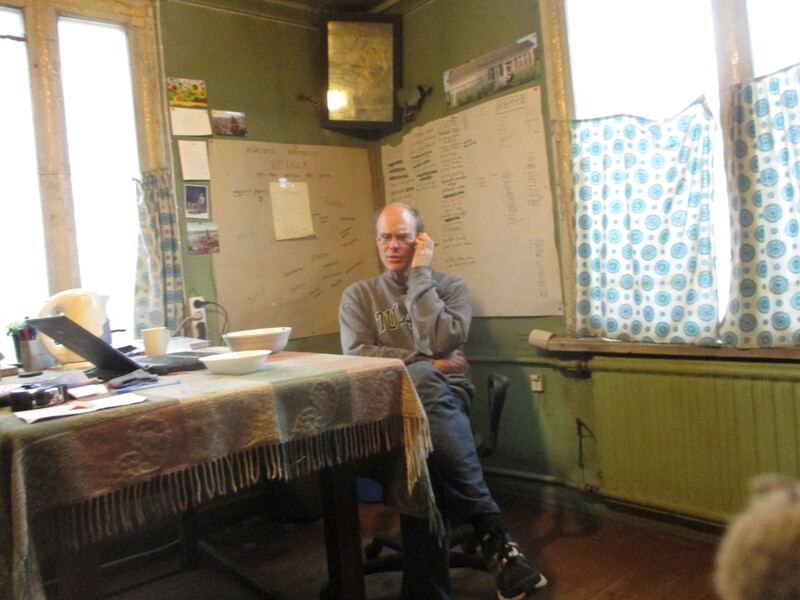 Andrius Kulikauskas is a complex person, too! His quest, since childhood, has been to know everything and apply that knowledge usefully. From 2016 to 2018 he taught philosophy, ethics and creative writing at Vilnius Gediminas Technical University. In those two years he gave 30 presentations in his original philosophy, including 3 at the World Congress of Philosophy in Beijing, China, and 3 at the World Congress of Universal Logic in Vichy, France. He has a Ph.D. in mathematics from the University of California at San Diego. His background is similar to Silvia’s, in that he was raised as a Lithuanian American. Andrius’s grandfather Jonas Kulikauskas was a Lithuanian Communist who was executed by the Nazis in 1941 and is in the mass grave at Vilkaviškis. 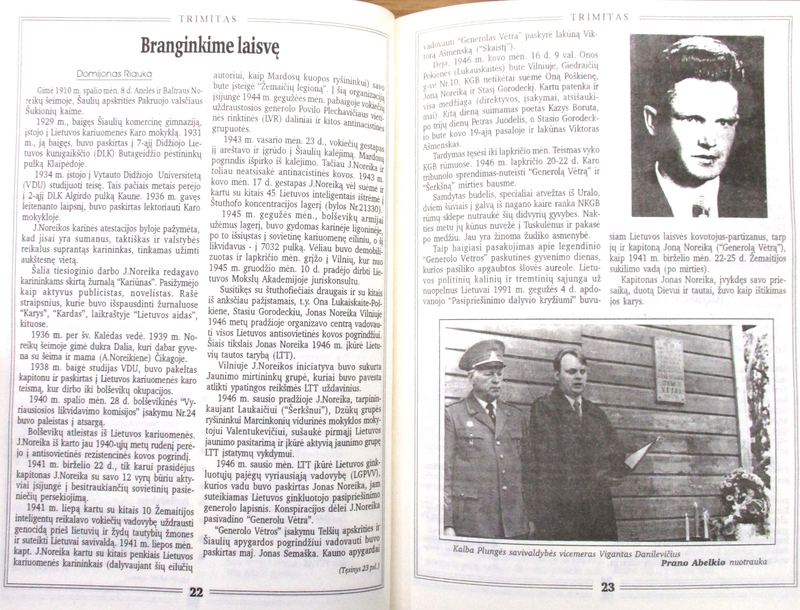 His grandfather Bronius Kviklys was the author and organizer of the encyclopedias “Mūsų Lietuva” (4 volumes) and “Lietuvos Bažnyčios” (7 volumes). He received a medal from Pope John Paul II for the latter, which involved organizing a secret network to professionally photograph all of Soviet-occupied Lithuania’s churches. Andrius was sad to learn in his research that Bronius Kviklys worked in 1941 as a personal secretary for Vytautas Reivytis, the head of Nazi-occupied Lithuania’s security police, who led the arrest of about 100,000 Lithuanian Jews. Andrius now lives in the village of Eičiūnai, Lithuania. He is respected by Lithuanian nationalists for all the right reasons, including the punk song “Lietuva yra OK”, which he sang with “Naujas Kraujas” at “Roko maršas 1989”, part of Lithuania’s independence movement. We ourselves place no restrictions on the use of documents linked to from this page. Most of the documents available from this page are hosted by Silvia at silviafoticom.files.wordpress.com as you will see when you click on the links. Some documents available from this page are hosted by others and we simply link to them. In such cases we may know that they have the right to share the documents or we may suppose that the owners of the rights to a book, etc., do not object. If you have doubts, then please inquire with the relevant website and let us know. 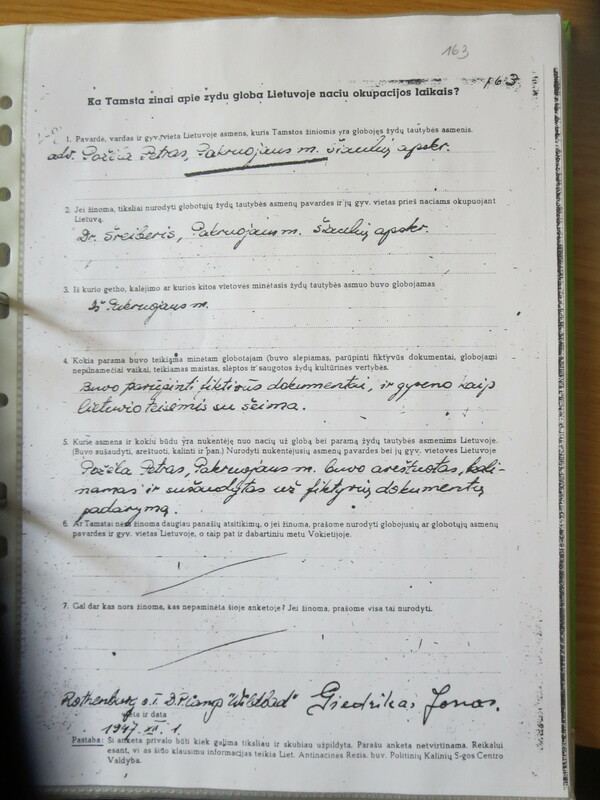 We are grateful to Lithuania’s archives for making their documents available. The various archives have slightly different, occasionally changing and variously conducted policies regarding the publication of their documents on the Internet. In making photographs, one signs a form stating that the images will not be given to third parties or used for commerical purposes. Nevertheless, when asked, some of the archives (such as the LCVA and the LYA) allow the images to be shared online. In such cases, we accept their interpretation of their rules. In general, the archives want each document to be identified, for example, LCVA f.1075, a.2, b.6, l.35 . (See About the Index.) They also wish to be informed when you use their documents. If you wish to include their document in a print publication, then we recommend that you approach them to have their express permission and that they give you high quality images. 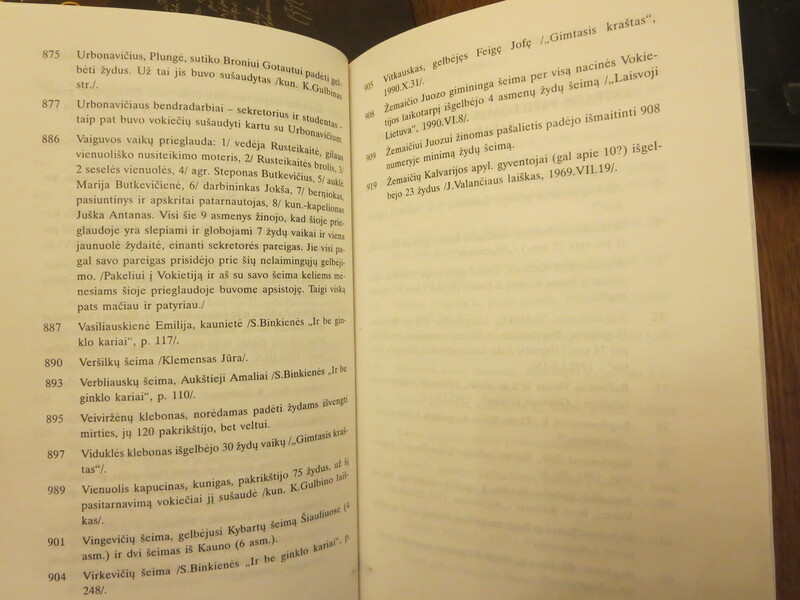 Lithuania’s archives generally require photographs of documents to be made on special tables which include logos that should appear on the margins. However, Curator Andrius Kulikauskas has found it completely impractical to have the logos take up so much space in the images. He apologizes for not including them. Lithuania’s Central State Archives (LCVA) and Lithuania’s Special Archives (LYA) are unrestrictive in allowing their documents to be published online. However, please note, especially with the LYA criminal files, what should be obvious. They consist of Soviet interrogations of people, many of whom were beaten and tortured, and all of whom were in fear of being tortured or killed themselves, and being the ruin of others, as well. This means that what the subjects state may very well not be true. They are speaking without any rights to a lawyer or due process. Also, what got recorded may not reflect what they did or did not say, although in practice, contrary to myths, we have not encountered any Soviet criminal files that have been concocted from thin air. Andrius Kulikauskas has, however, regularly encountered files of people who got were tormented simply because their name was similar to that of somebody the Soviets were trying to catch. What is most important is that the files may include material that is wrong but also hurtful or shameful. The key disclaimer is that you should be careful with how you use such material because, at least in theory, you may be taken to court for slander by somebody, especially if they are alive. Please be respectful. We have used our best judgement in making available books, sometimes in full, and sometimes just excerpts, to facilitate your research. Generally, we share books if they are out-of-print. Silvia and Andrius welcome your letters on what you’d like to see at this archive. What source materials would be useful? We also welcome your thoughts on how to encourage dialogue that links the truth about our past in Lithuania with hopes for our future.